Let's start with the beginning of the entire Marvel Universe. The Fantastic Four launched Marvel's superhero rebirth and was the company's flagship title throughout the 1960s. There'd be some similarities with last year's Incredibles characters, but only because The Incredibles is a loving homage to the original superhero family. With their movie finally coming out next year, Avengers co-founders Ant-Man and The Wasp will hopefully get Infinity figures. The Wasp already appears as a non-playable character in the game. Carol Danvers, the latest hero to sport the name Captain Marvel, is another Avenger who appears as a non-playable character in Disney Infinity: Marvel Super Heroes. She deserves a statue and a bigger role in the future. If you don't read comics, there have been literally dozens of Avengers in the past 50 years. Superhero attorney She-Hulk is the only one who'd work equally well in Disney Infinity and a Phoenix Wright game. Black Panther, the first black superhero, has been an off-and-on member of the Avengers since the 1960s. 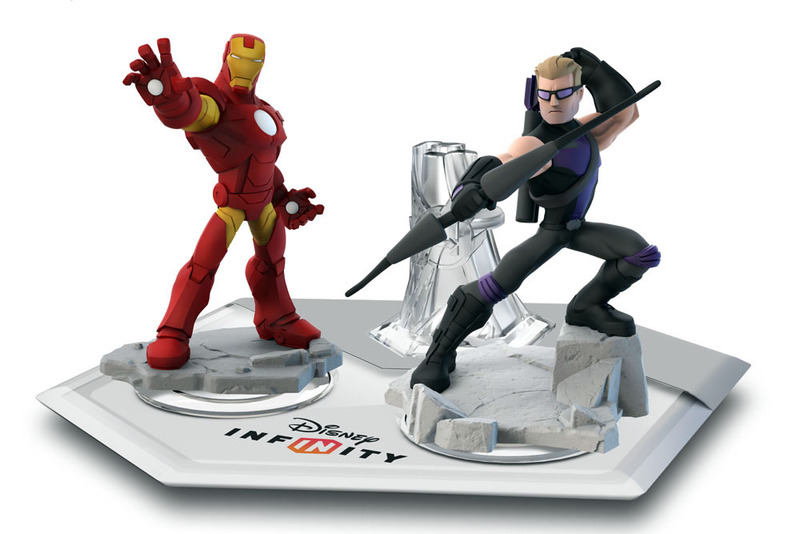 Power Discs are little chips that add new environments or playsets to Disney Infinity. Inevitably Disney will give us a Power Disc built around drunken carousing. When that day comes, Hercules, a key second-string Avengers for decades, is the only choice for a tie-in hero. Vision and The Scarlet Witch were crucial Avengers for decades, and partners in an unlikely love story that still resonates with sad-sack late thirtysomethings. They're also in the next Avengers movie. The love between the Avengers Wonder Man and Beast was purely platonic, but strong enough that it remains one of the most fondly remembered friendships in superhero comics. Not every superhero is social enough to be an Avenger. Some just like to hang out in their swank mystical bachelor's pad on Bleecker Street. In the early 1970s Dr. Strange joined up with three other powerful loners to form the Defenders. and the Silver Surfer, the cosmic-powered former herald of Galactus. The Hulk, another founding member, is already in Disney Infinity. His fellow Defenders should join him. The Asgardian hero Valkyrie was a member of the Defenders throughout the 1970s and '80s. Nighthawk, another long-standing Defender, is written off by many as a Batman ripoff. He's so much more than that. He's actually a dumb, lazy Batman, an idea full of untapped story potential. Marvel will recycle the Defenders name with a series of interlocking Netflix shows starting in 2015 and starring "street level" heroes. The first series stars Daredevil, who's already popular enough to deserve an Infinity figure. Private eyes Misty Knight and Colleen Wing often work with Daredevil and Cage in the comics, and will probably pop up in those Netflix shows. They'd nicely round out an Infinity line tied into those upcoming Netflix shows. Cloak and Dagger are another duo that would fit in a "street level" Infinity line. These teenagers, who got their powers after being forcibly injected with experimental heroin, spend their time fighting drug dealers more than supervillains. Speaking of teenage characters, Marvel is absolutely lousy with them, and could launch an entire Disney Infinity line devoted to them. How about Amadeus Cho, former sidekick to Hulk and Hercules, and one of the smartest people alive? Or Kate Bishop, the Hawkeye of the Young Avengers, and maybe the coolest character in comics the last few years? to their tough teammate Miss America, who can break reality and open portals to other dimensions just by kicking stuff. Again: SO MANY MARVEL TEENS. Gravity's at least in college, a freshman at NYU, with an awesome costume and gravity-based powers that would probably look and feel cool in a videogame. But Marvel's best teen right now, and the star of perhaps the best comic they're currently publishing, is Kamala Khan, aka Ms. Marvel. With the attention her debut has gotten, and the extremely positive reaction to her series, she might be the most likely one of this bunch to show up in Disney Infinity. Dazzler. Who else would it be? and the dead but undying Dead Girl, who's like an undead hipster version of Kitty Pryde. Except she's really dead now, we think. Because all the X-Statix people are dead. And of course an X-Statix set wouldn't be complete without Doop, the only member who isn't now dead in the comics. A few supervillains will be released for Disney Infinity: Marvel Super Heroes, and it makes sense to release more in the future. Doctor Doom has to be at the top of any list of Marvel villains. With the Captain America toy already in stores, it's also a no-brainer to eventually release a Red Skull figure. The Disney Infinity Toybox mode is already like the Cosmic Cube. Despotic robot Ultron is the villain in the next Avengers movie, and has to be on the shortlist for the next Disney Infinity series. Similarly, Thanos is primed for a major role in the Marvel movies, having already popped up briefly in Avengers and Guardians of the Galaxy. And if Marvel needs another cosmic bad guy for future Guardians sequels, Annihilus is a perfect choice. And of course the best way to realistically get a Disney Infinity figure is to appear in a really popular movie. Gerber co-created Howard the Duck and wrote the series that became a sensation in the 1970s. Howard has mainstream name recognition and appeared briefly in the Guardians movie. Disney might be afraid that people will confuse him with Donald the Duck, which doesn't show a lot of respect for their audience's anthropomorphic duck recognition skills. Gerber introduced Howard in an issue of Man-Thing, and the "Nexus of All Realities" concept is custom-suited for a Disney Infinity playset. And of course the Man-Thing's appearance and powers would look amazing in a videogame. ...and the Conan-spoofing Korrek the Barbarian, who appeared in our reality through a jar of peanut butter, earning himself the nickname the Peanut Butter Barbarian. And if they're going to do that storyline, they'll need to include the teenage witch Jennifer Kale, although hopefully they'll finally put some clothes on her for once. Just from a visual standpoint, Dr. Strange's archenemy The Dread Dormammu would be an amazing addition to Disney Infinity. His magic could lead to mind-bending graphical displays. Also flaming heads always look rad, and somehow we forgot to put Ghost Rider on this list. If you were keeping track and doing the math you realize we've already run through 50 characters. We've got one last Marvel legend who absolutely deserves his own Disney Infinity figure, and who should probably be the most powerful character in the game, by far. The Marvel Universe wouldn't exist without the artist and writer Jack Kirby, the King of Comics, and if this world was just and fair his estate would benefit properly from Marvel's successes. Yeah, 50 of ‘em. We don’t really expect Disney to release 50 more Marvel characters for Disney Infinity: Marvel Super Heroes (which, if you didn’t know, is a toy/game hybrid where collectible figures unlock characters within the videogame). Figures of some of the biggest Marvel characters were released this week alongside the second installment of the game, including both classics that have been beloved for decades (Spider-Man, Captain America, Iron Man, Thor, the Hulk), and the formerly obscure but now hugely popular characters from the Guardians of the Galaxy. Next year Disney Infinity will probably move on to Star Wars and a few more Disney figures (count on Goofy and, I don’t know, George Clooney from Tomorrowland)), with maybe a small second run of Marvel characters. At best we’ll probably get a few tie-ins to the next few movies (I bet Thanos and Ant-Man are a given), an inevitable X-Men pack (even if Fox owns the movie rights) and maybe one or two Jack Skellington-style cult surprises. Still, the potential exists for dozens more tiny little statues from all across the Marvel Universe, both A-level franchise figures like the Fantastic Four, and bit players from obscure Steve Gerber storylines from the 1970s. (If I owned Disney we’d get an entire Steve Gerber line, complete with a toy of Gerber himself.) 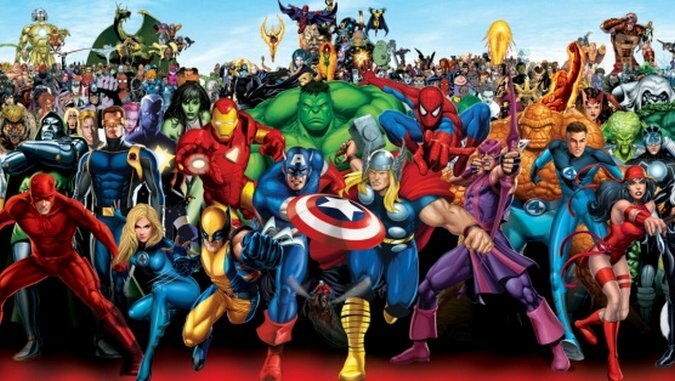 So here are, yes, 50 Marvel characters that we’d love to see added to the world of Disney Infinity. This is what Disney Infinity figures look like. Imagine this but with Hercules giving a thumbs up.